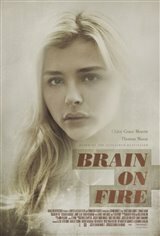 New York Post journalist Susannah Cahalan (Chloë Grace Moretz) mysteriously begins to have seizures and hear voices. As she descends into insanity and is repeatedly misdiagnosed, one doctor finally gives her a proper diagnosis of a rare autoimmune disorder called anti-NMDA receptor encephalitis, and gives her hope to rebuild her life. Based on the memoir of the same name by Susannah Cahalan.